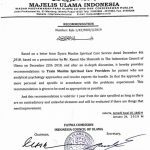 The Majelis Ulama Indonesia (MUI), the highest clerical body in Indonesia, has issued its endorsement of Ziyara Muslim Spiritual Care and supported our model for end of life care. 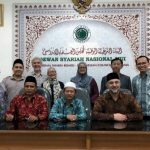 Ziyara Muslim Spiritual Care was invited to present its end of life program before the National Shariah Board of Indonesia and the National Fatwa Committee. 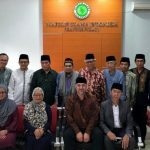 The presentations took place in Jakarta on Wednesday, December 12, 2018. 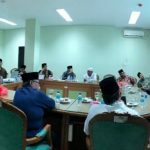 The support of the Fatwa Committee of the Majelis Ulama Indonesia is crucial for training spiritual care providers in hospitals across Indonesia. We are grateful for their support and endorsement. for certification of Islamic hospitals. The Ziyara delegation included Kamal Abu-Shamsieh, and Ziyara board members Chaplain Taqwa Surapati and Sakinah Alhabshi. In addition, we were joined by members of Ziyara International Board of Advisers, Dr. Endy Astiwara and Dr.Burhanuddin Hamid.